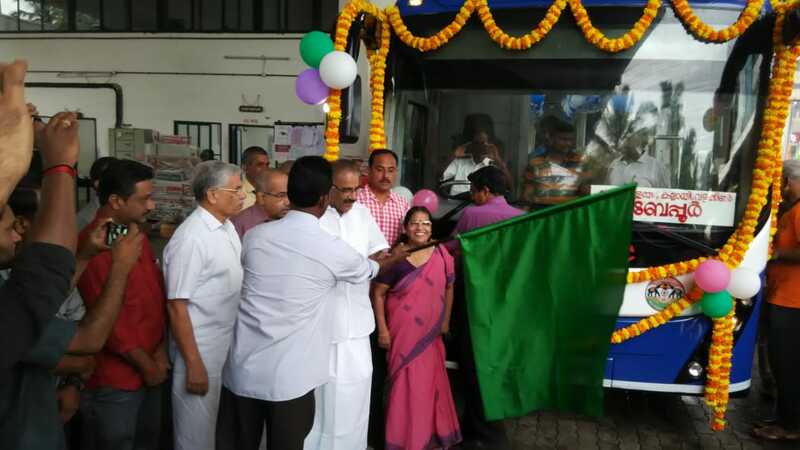 Transport minister A.K.Saseendran today flagged off electric bus in Kozhikode. A. Pradeep Kumar MLA presided over the function. Corporation is trying to modernize is function,said the minister. 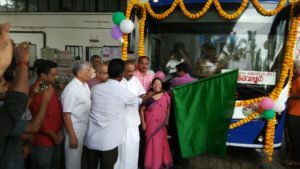 Electric bus services launched in Kochi,and Thiruvananthapuram got good public acceptance,said the minister. It is an environment-friendly approach of the corporation. This News was posted on Thursday, June 28th, 2018 at 9:28 am and is filed under City Talk.